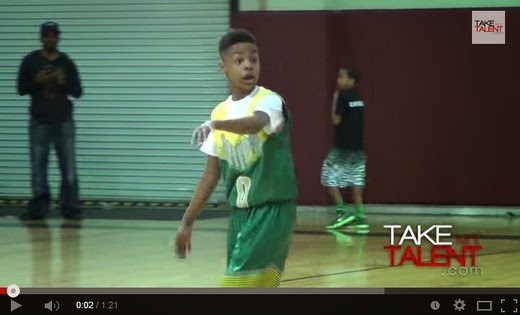 Video: LeBron James Jr. Knows How To Dominate in a Basketball Game, The Son Of The King! YouTube Scoop: LeBron James' son LeBron Jr. is slowly making some noise in the basketball scene as he dominated in the recently concluded 2015 John Lucas All-Star Weekend. He led the Gulf Coast Blue Chips (10U) to an impressive 1st Place finish. Check out his highlight video.